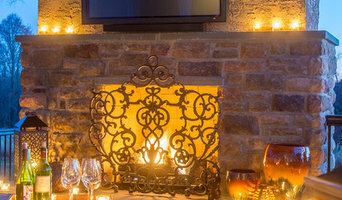 Crafting fine interior and exterior architectural furniture and elements. We specialize in unique creations for you home, business, or special event. Our mediums include metal, wood, and concrete. The clear choice for outstanding landscaping, hardscaping, and lawn maintenance services. 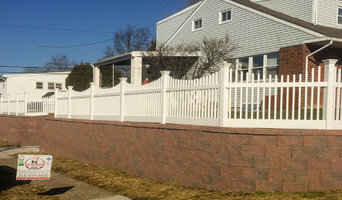 Balaney Contracting is a full service landscape company proudly serving the tristate area. We have been family owned and operated for over 25 years. We offer a wide variety of commercial and residential services. Please contact us for a free estimate today! Design Build, Hardscapes, Landscapes, Lawn and Landscape Maintenance Custom outdoor space specialists. A design/build firm since 2006, Hilton Concrete takes your outdoor masonry/hardscape project from conception to completion. Our work is known for being the highest quality, our job sites are neat & clean, and our employees are respectful and helpful. Not only are we are fully insured/bonded, but we are very schedule-oriented with our projects to ensure scheduled start dates & finish dates. Ideal Tile of Ocean, Tile and Stone Design Center is the perfect destination for designers, architects, and homeowners who pursue the finest in stone, glass, artisans tiles, porcelain and ceramic tiles, kitchen and bath furnishings and accessories. Inspired by nature is a husband and wife team with a combined 40 years of experience in hard surfaces, real estate, and construction. Inspired by nature was born from our love of artistic expression and the beauty of nature that surrounds us every day. Our vision of providing concrete tops that accentuate and fit effortlessly with any décor is what we strive for...modern, rustic, minimalist, industrial, or traditional...our tops offer timeless design for any application. Using recycled, repurposed, reclaimed and manufacturing by products in our tops is our personal contribution to the preservation of Mother Earth and its inhabitants. 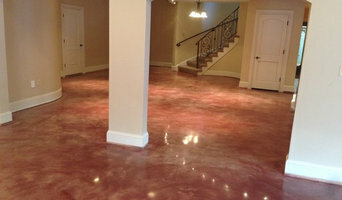 We provide a unique, one of a kind option to our clients; most of which are stepping away from the normal and boring hard surfaces that everyone else has. Adding personal touches to your top make it that much more exclusive to you. You will have the opportunity to choose exactly what you want your countertop to look like with customizable components such as color, sand, glass and aggregates...making it the last top you will ever want to purchase. We are a family owned and operated local concrete company from South Jersey, we have over 20+ years in the concrete industry and offer extremely competitive prices! We also give free quotes. Our philosophy is to create a design that naturally integrates your landscape, home and lifestyle to create a restful, serene outdoor living area for your family to enjoy for many years to come. Your input is essential throughout the creation of your landscape environment. Our professional team will work closely with you on every aspect of your landscape design project. 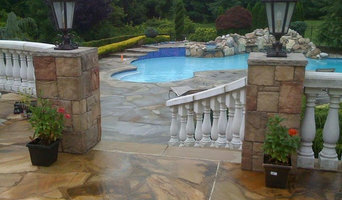 Patios, walkways and outdoor structures are our specialties. We use the finest materials in creating extraordinary outdoor living areas. Our pools, ponds and waterfalls capture sparkling reflections to be enjoyed from both inside your home and out, creating a tranquil environment for you to enjoy. Owner, Peter Samuels, specializes in landscape construction. He has grown up in the industry and has over ten years experience in all aspects of the landscape nursery trade. 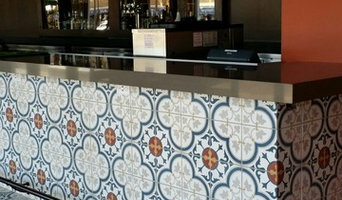 Peacock Studios offers professionally crafted concrete countertops, concrete furniture and decorative painting based in Wilmington, Delaware.